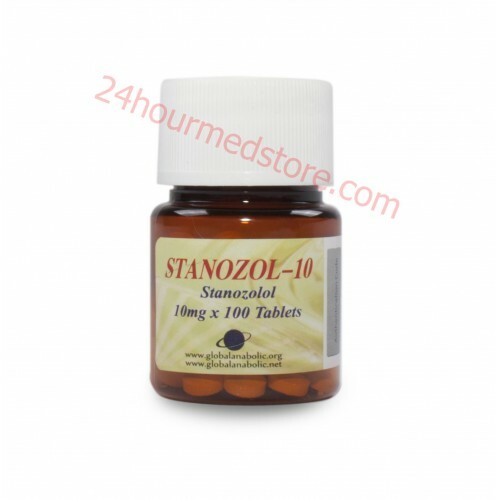 Winstrol Tabs otherwise known by their popular anabolic steroid name Stanozolol. Stanozolol is derived from dihydrotestosterone which has a much more mild androgen activity than this derived product. These tabs are technically called anabolic steroids but they showcased a low androgenic activity with massive muscle growth capabilities. Winstrol is a specialty brand name for this anabolic steroid and is best known for its quality muscle growth. It has an efficiency that's very similar to Dianabol only without the same tendency for massive water retention. Water retention is always a big concern when it comes to steroids and Winstrol is popular because it produces great lean muscle. 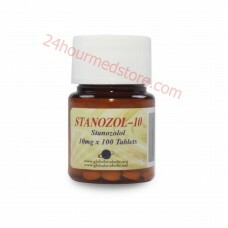 Stanozolol is also extremely beneficial because it doesn't convert into estrogen. This means that you don't need to include any type of anti-estrogen into your cycle while utilizing this medication. Side effects like Gynecomasta aren't a concern for bodybuilders and you can just enjoy quality muscle growth. 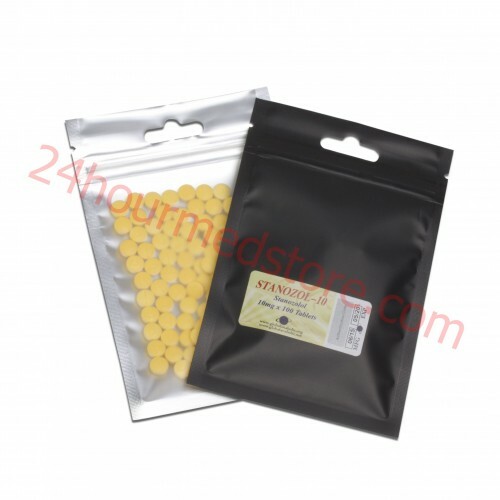 The best dosage for men on Winstrol usually ranges around 50 to 100 mg per day from the tabs. In some cases you can even combine it with Dianabol or Anadrol for added effects with the lower anti-estrogen affects. Many bodybuilders include the tabs with their cycle to see explosive results. Women can take between 5 to 10 mg daily and usually the easiest way to do this is to half 5 mg tablets to find your dosage. Some female bodybuilders can get extremely ambitious with their dosages working up to 25 mg doses but this isn't always recommended with its androgenic properties. Ultimately users of Stanozolol can see big impact when it comes to building quality muscles. It also works to change the levels of SHBG in the body allowing you to increase the potency of all steroids as well as your natural body chemistry. Hormone levels will increase giving you a remarkable boost to your training. When it comes to cycling Winstrol it's usually in best practice to go 6 to 8 weeks on and off. A PCT program will be required to help restore your natural biochemistry at the end of a cycle so that you can continue making gains with your training.